Wendy Pua | Malaysia Chinese Lifestyle Blogger: This Raya I Can Surf with Celcom PortaWiFi ! This Raya I Can Surf with Celcom PortaWiFi ! Remember yesterday I get the Celcom free portawifi flyers from the stylo guy at Batu Tiga Toll, I go to Sunway Pyramid Blue Cube Counter and redeem it, Just Right in Front of Aquasonic. Share WiFi access with up to 5 devices at once , Surf at speeds of up to 21Mbps , Get up to 10GB data With the widest coverage of the fastest network. 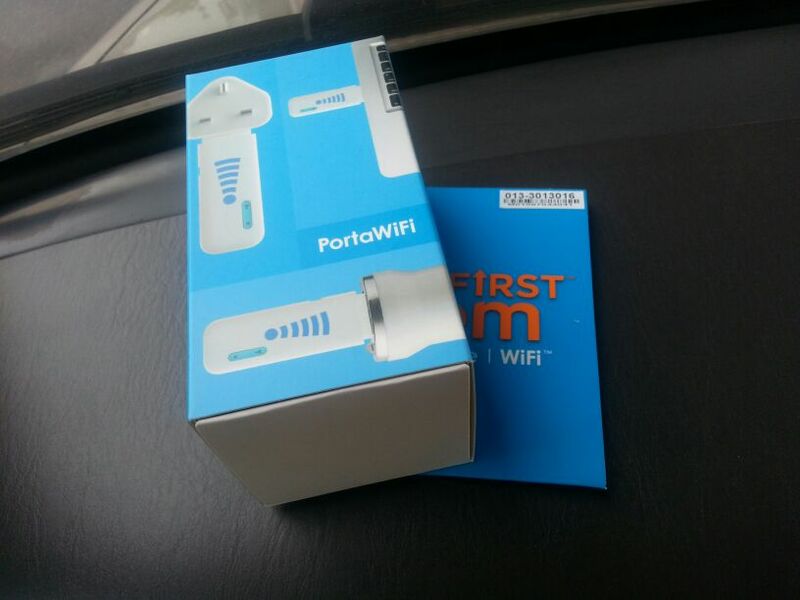 Inside The Portal Wifi Package includes PortaWifi Modem, In-car Charger with USB adapter, Tri-pin charger with USB adapter. So now you can enjoy your facebook, instagram, even blogging lively inside the car if you won’t feel any dizziness to doing all this like a big boss at behind seat. Why they have the Tri-Pin Charger with USB adapter & In-Car Charger with USB adapter there? Incase you are in smartphone but not with the laptop you still can used the portable wifi modem with just plug in the tri-pin charger power supply, there you can share with other 4 person(beware for prepaid user, your credit will finish very fast like drying water in the hot stone.) never mind, sharing is caring right. another one is the In-Car Charger, when you are inside the car and get bored easily, what about online in the car? Cool right, and most common question from the friends inside the car will be : Eh, what is the car wifi password?” haha. What if you are in the MPV, Van, Bus, Opss... by First come First basis to first 5 person to ask the password. Then the rest…. Need to use another way…. Oh Dear, If you don’t get a flyer at the toll plaza and still interested in getting a PortaWiFi device, this is a good time to grab one! 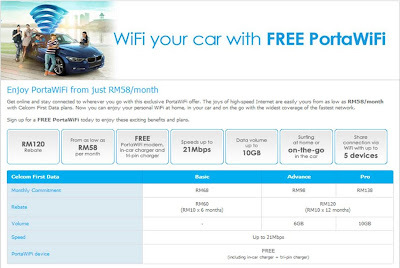 Celcom is having a promotion where you can get a FREE PortaWiFi when you sign up with their Celcom First Data plan and enjoy a total of up to RM120 rebates on your monthly bills.